There I've been ranting about my sewing obsession (surprise!) and all things history nerd-ery. 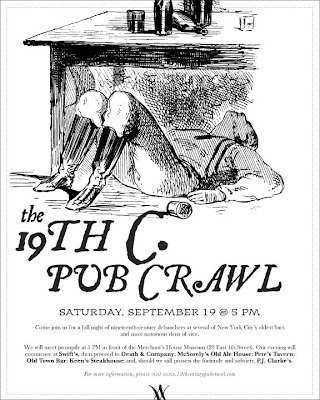 Take note of the 19th C. Pub Crawl some friends & I are organizing for this fall - come join us cause it should be a whole heck of a lot of fun.